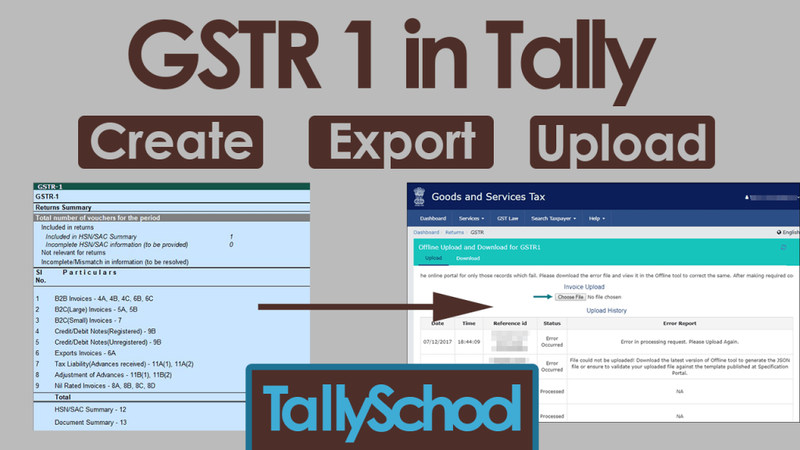 In this post, you will learn how GSTR 1 in Tally ERP 9 is automatically created and how you can easily export it and upload it to the GST Portal for filing your GST returns. GST returns in Tally – be it GSTR 1, GSTR 2, GSTR 3B, GSTR 4 or any other relevant returns are always automatically created in Tally. In this post, we will only be talking about GSTR 1 in Tally since it is for the sales of a business or in technical terms it is outward supplies of goods and services affected. GSTR 1 is a GST form which we normally refer to as a GST return. It is used for returning (filing GST return) the information of all the outward supplies of goods and services. In Tally, GSTR 1 is automatically created because it collects all the data from your GST accounting entries in Tally and spreads it in such a way that the entire GSTR 1 is created in Tally by itself and you don’t have to do anything. This is also applicable with other returns of GST in Tally. Today, you will be learning the entire process of creating GST accounting entries upto the filing of GSTR 1 from Tally. Anyone who is required to be registered or is registered under the GST Act has to mandatorily file GSTR 1. In simple words, if you have a GST Number, you have to file GSTR 1. If your turnover is less than ₹1.5 crores, you have to file GSTR 1 on a quarterly basis. For creating GSTR 1 in Tally, you first have to create some of the accounting entries in Tally in which GST is applicable. For that, you need to go through the following video in which I have explained exactly how to create a GST Sales entry in Tally. Please watch the video below with full attention. Create necessary Sales entries with GST. Verify GSTR 1 and Reconcile it in Tally. One thing I want you to note is that in this whole process you do not have to specifically create GSTR 1 in Tally but indirectly you will create GSTR 1 in Tally ERP 9. When you pass GST sales entries in Tally, at that same time, Tally collects the data from the sales entries that you have passed and puts it in the GSTR 1. That is how GSTR 1 is created automatically in Tally. Once GSTR 1 is created in Tally, you can have a look at it and that is going to be our next step after creating GSTR 1 in Tally. 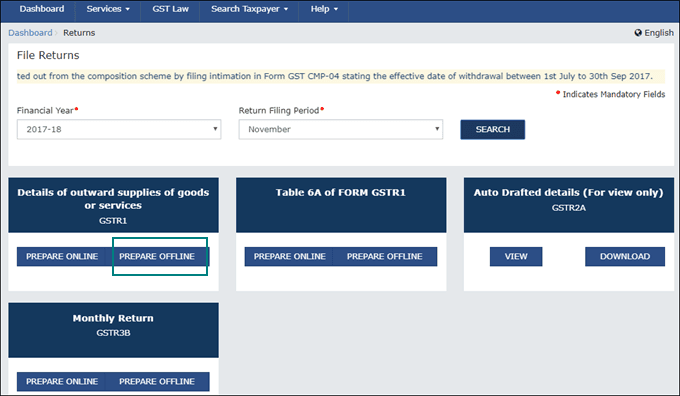 You are now in GSTR 1 in Tally and you will see GSTR 1 in the return format in exactly the same way as you see on the GST portal after uploading the GSTR 1 return. Verification is essential to make sure that we do not upload the GSTR 1 with false or incomplete information. Verification of GSTR 1 in Tally is very easy because this time also, Tally does most of the work for you. Tally automatically separates the vouchers or entries on the basis of different kinds of information that we put while creating the accounting entries in Tally. For example, if you forgot to put the HSN code while creating invoices in Tally or if you have put incorrect GSTIN in one of the debtors, it is automatically flagged off by Tally. It will be separated and you can easily see that in the option of incomplete information. When you open GSTR 1 in Tally, the first and the foremost section that you see on the top of the screen is Returns Summary. In Returns Summary in Tally, there are total 6 options through which we have to verify the GSTR 1. Firstly, Tally separates the vouchers that are relevant for the current period which can be monthly or quarterly on the basis of your business. Therefore all the vouchers that are not relevant for a particular month or a period will not show up in GSTR 1 in Tally. This option can literally save a lot of your time because only the vouchers which are relevant for the particular month or quarter for which you are filing the return will be shown to you. The other irrelevant vouchers will not be shown to you and therefore there will be less chances of error and confusion. You see only the information that you need right now. This is done by Tally for you. Second option is called Included in Returns and it has 2 more sub-options according to the information that you have provided. The vouchers that are included in the GSTR 1 in Tally which we will upload on the GST portal are included in HSN/SAC Summary. When you sell goods, HSN code is used and when you sell services, SAC – Services Accounting Code is used. Now, if for some reason, you have not provided the HSN/SAC details, the vouchers without these details will still be included in the GSTR 1 in Tally. But, they will be included in the option called Incomplete HSN/SAC information and therefore you will know in which vouchers there is incomplete information about HSN or SAC in Tally. The option also says in brackets – (to be provided) which specifically means that we have to provide the information regarding HSN and SAC. This option is useful because it restricts you from uploading or filing the GST return without HSN or SAC details which is required mandatorily under the GST Act. Let’s talk about the 3rd option which is Not relevant for Returns which simply means that the vouchers included in this option are not useful for 2 main reasons. Non GSTR 1 Transactions – This means these transactions may be relevant for other GST returns such as GSTR 2 or GSTR 3B or some other GST return but not for this return which is GSTR 1. No GST Implications – This simply means that the transactions does not attract GST at all. Cash withdrawal from bank does not attract GST or Sales Orders in Tally does not attract GST. Now let’s look at the 4th option which is actually the last option. It is called Incomplete/Mismatch in information (to be resolved). This option will contain all the vouchers or accounting entries in which we forgot to fill in the information such as GSTIN or some details about e-way bill in Tally or some other information about GST which is necessary. So, once you fill in all the necessary information, the vouchers will be moved from this option to the option – Included in HSN/SAC Summary because now the information is complete. 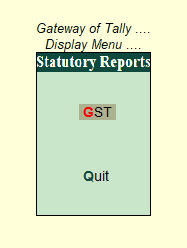 Exporting GSTR 1 from Tally is as simple as clicking a single button. Yes, it is actually that much simple and easy. Press CTRL+E to export GSTR 1 from Tally. As soon as you press CTRL+E, you will see an Export Report screen which will have a grey coloured box with several options. First one is language which is default so you don’t have to do anything. Second option is format in which you can select either CSV, Excel or JSON. I recommend JSON because it is very less in size than all the other formats which is good for uploading it. Third option is Export Location. Select the location on your computer where you want to export the file. Fourth option is Output File Name for which you don’t have to do anything as Tally puts the file name as GSTR 1 – your GSTIN – the month or quarter – year. Fifth option is Open Exported File. Set it to YES. Sixth option is Allow Export of – This has 2 options which are All Vouchers and Only New Vouchers. All Vouchers means all the vouchers including the ones which are uploaded on the GST portal. Only New Vouchers will include only the vouchers that have not been uploaded on the GST portal. Select All Vouchers and press Enter to export the JSON file. Congratulations! You have successfully exported the GSTR 1 from Tally in JSON file format. You can also call this that you have successfully generated GSTR 1 in Tally ERP 9. 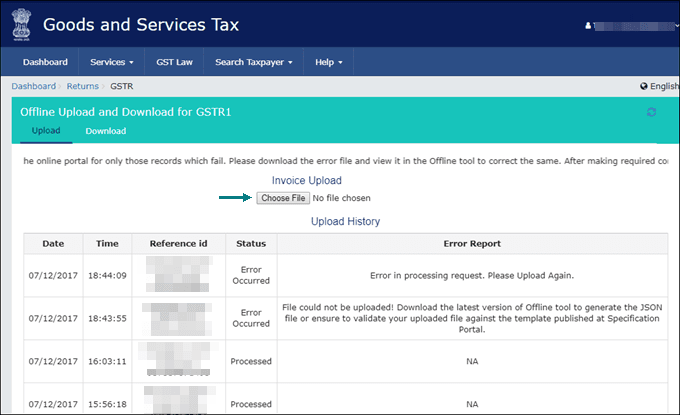 Now, we will move on to the next step of uploading the JSON file to the GST portal or in other words filing GSTR 1 from Tally ERP 9. So, once you have exported GSTR 1 in JSON file format from Tally, you have to follow some simple steps to upload GSTR 1 to the GST portal. Select the Option Form for Quarterly Return Filing by Normal Tax Payer. 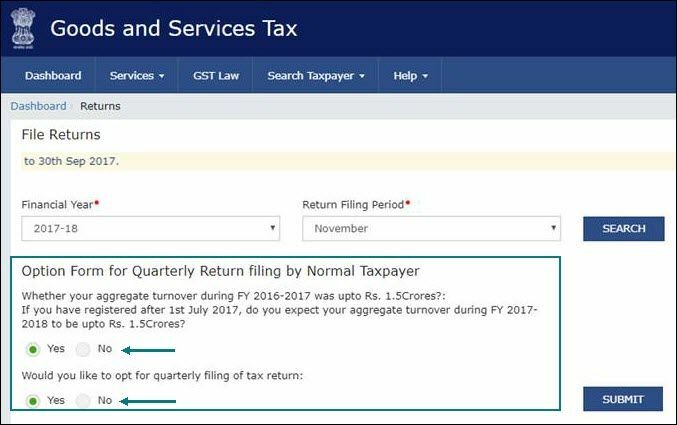 Select YES, if you are filing your GST Returns quarterly and select NO, if you are filing your GST Returns monthly. Now, you will see the first box with the option of GSTR 1. Click on the button which says Prepare Offline. You will now see a screen which says Offline Upload and Download for GSTR 1. There is a button for Choose File. Click on that and upload the JSON file that we have exported from Tally. You have successfully uploaded the GSTR 1 on the GST portal and you will now see a success message. Once you get the success message, the further process starts and you will have to follow that in which the buyer has to accept the invoices that we have uploaded right now. This is how GSTR 1 from Tally has to be uploaded. Or in other words, we can say that this is how you have to file GSTR 1 from Tally ERP 9. Now, we are going to learn how to make status reconciliation for GSTR 1 in Tally. First of all, let me tell you what the hell is status reconciliation of GSTR 1 in Tally. It is simply changing or reconciling the status of GSTR 1 transactions or vouchers in Tally. 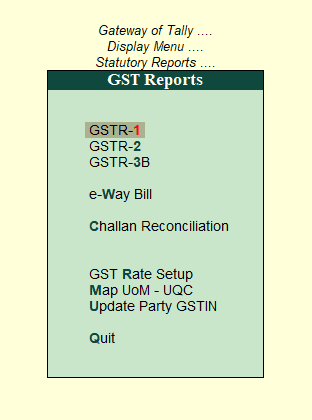 When you are in GSTR 1 in Tally, there is an option on the right hand side bar which is called Status Reconciliation. You can also press ALT+U which is the shortcut key in Tally for Status Reconciliation. 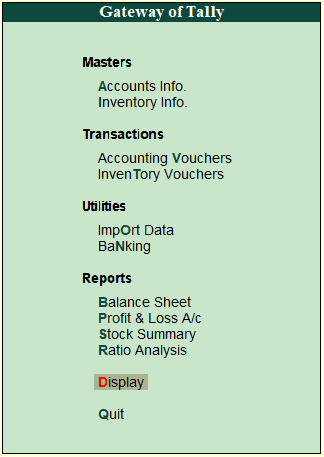 Voucher Count will display the total number of vouchers for a specific type of invoice. For example, there can be 7 B2C (small) invoices that has been uploaded and 2 B2C (small) invoices that has been rejected by GST. So, the voucher count for B2C (small) invoices will show total 9 invoices i.e. 7+2 = 9. As the names suggest, these are the statuses of your vouchers or invoices that you have according to the GST portal. The acceptance, rejection or modification of the invoices happens on the GST portal. 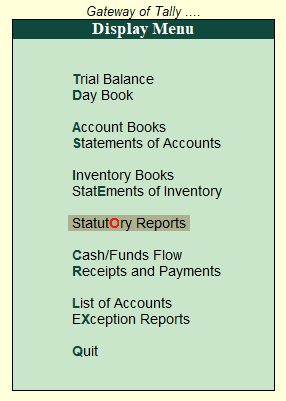 You can maintain the same status in your Tally with Status Reconiliation in Tally. For example, if a certain invoice is accepted on the GST portal, you can set the status of that invoice to Accepted from Uploaded. You can do this for all the invoices at once just by selecting all the invoices in Tally by simply pressing the space bar and then changing the status. This can save a lot of your time. Once, you have set the status as per the GST portal, you do not have to login to the GST portal everytime. You can see all of that in Tally itself. Now, we will look at some information about due dates which are important for filing the GSTR 1 on the GST portal. These are the due dates of the filing only GSTR 1 and not the other returns. For all the quarters above, due date is 31st October 2018. Monthly Return for persons with total turnover more than ₹1.5 crores or opted to file monthly returns. Due date for all the months from July 2017 to September 2018 is also 31st October 2018. I have explained the entire process of GSTR 1 in Tally. In short, this process involves of some simple steps in Tally. It is a simple process and once you understand it, you can do it in much faster way. Creating GSTR 1 in Tally is nothing but creating error free sales entries with GST in Tally. If you have any doubts or questions or suggestions, you can comment down below and I will be happy to help you out. I understand to gst is easy. I am happy that you understand GST in an easy way on TallySchool. I have upgraded Tally by clicking on the Green Download button after sharing with facebook but still I have to open the Tally by pressing Alt+W. Why? It means the new version has not been upgraded? Pls guild me. Thanks a lot. It means that you are using Educational version which is free. Read the option for ALT+W. You have to buy full version if you don’t want to press ALT+W. I am happy that this post help you a lot. Please share it with your friends.